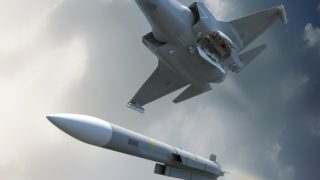 Meteor is the next generation of Beyond Visual Range Air-to-Air Missile (BVRAAM) system designed to revolutionise air-to-air combat in the 21st Century. 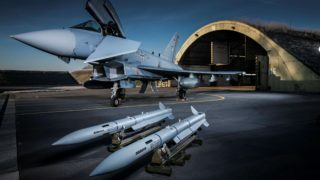 The weapon brings together six nations with a common need to defeat the threats of today as well as the future emerging ones. 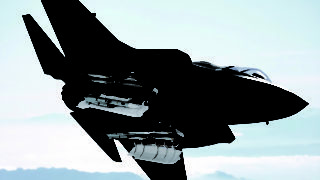 Guided by an advanced active radar seeker, Meteor provides all weather capability to engage a wide variety of targets from agile fast jets to small Unmanned Aerial Vehicles and cruise missiles. It is designed to meet the most stringent of requirements and is capable of operating in the most severe of clutter and countermeasure environments. 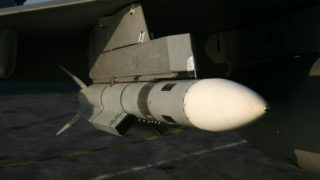 The weapon is also equipped with data link communication. 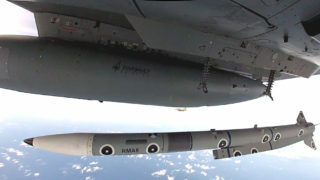 Aimed at meeting the needs of a network centric environment, Meteor can be operated using third party data, enabling the Meteor user – the pilot – to have the most flexible weapon system. 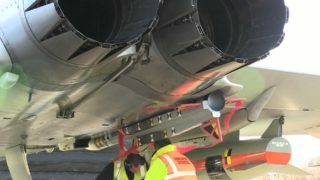 Meteor’s stunning performance is achieved through its unique ramjet propulsion system – solid fuel, variable flow, ducted rocket. 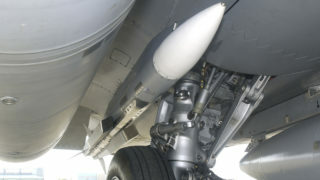 This ‘ramjet’ motor provides the missile with thrust all the way to target intercept, providing the largest No-Escape Zone of any air-to-air missile. 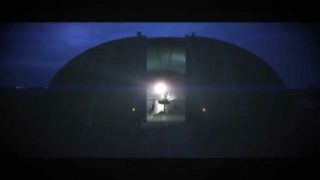 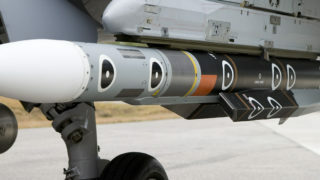 To ensure total target destruction, the missile is equipped with both impact and proximity fuses and a fragmentation warhead that detonates on impact or at the optimum point of intercept to maximise lethality. 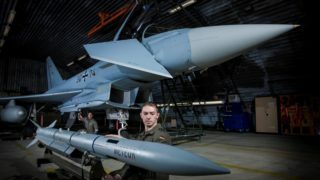 Meteor has been developed by a group of European partners led by MBDA to meet the needs of six European nations: the UK, Germany, Italy, France, Spain and Sweden. 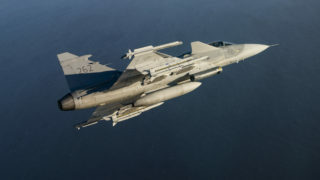 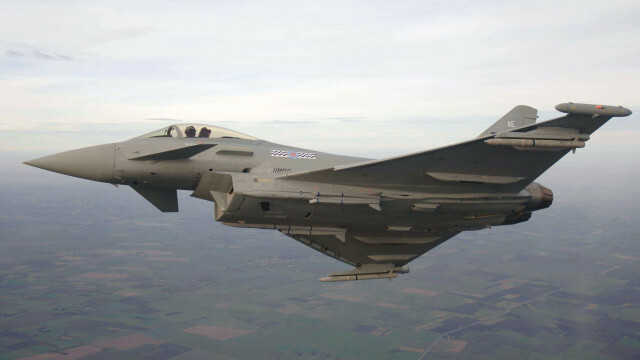 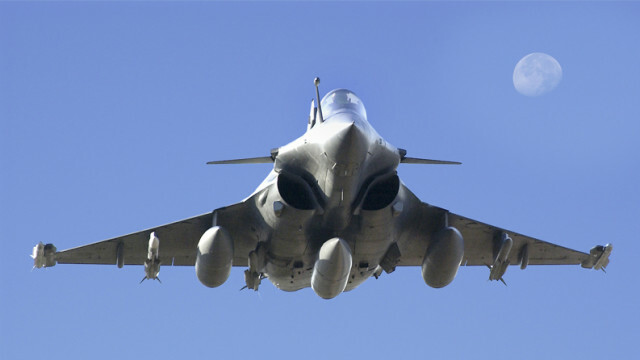 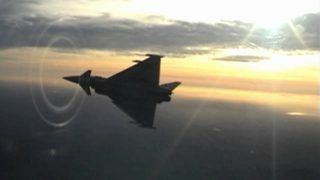 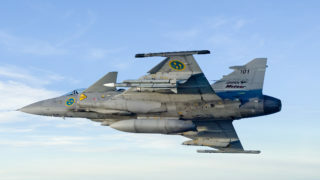 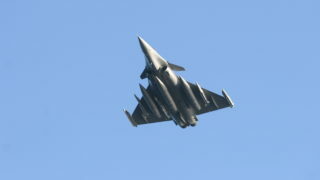 The weapon system will equip Eurofighter Typhoon, Rafale and Gripen. 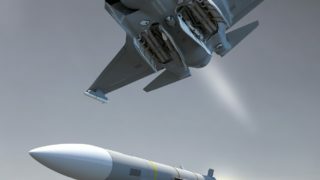 It is also compatible with other advanced fighter aircraft and will be integrated to the F-35 Lightning II Joint Strike Fighter.